It's that time of the year for Fortune – it just released its annual Global 500 list of companies ranked by revenue for the Q1 2012/Q1 2013 period. Dinosaur oil companies aside, the largest IT firm in the world is Samsung Electronics, at 14th place, with a revenue of $178.6bn – a healthy increase from $149bn last year. Truly warming investors' hearts, though, is the runner up, yeah – you guessed it – Apple, at $156.6bn, has climbed to 19th place, all the way up from last year's 55th, when it boasted about a third less with $108bn in revenues. So this settles it. Samsung is better than Apple. Jokes aside, Apple's performance is impressive based on more than just the spike in revenues. So much so, that Steve Jobs' offspring is only second to oil-giant Exxon Mobil in terms of profitability – the iPhone manufacturer has brought home an amazing $41.7bn, a gargantuan leap from last year's $26bn. In comparison, Samsung Electronics has half of that at $20.6bn – a sizable, but less awesome increase from $12bn for 2012. Other familiar faces include AT&T which has also worked up a small miracle – profits have skyrocketed for the carrier from about $4bn in 2012 to $7.3bn this year, even though, at the same time, revenues have only gone up by less than a billion. Troubled HP is 43rd on the list, with an oozing $12.7bn in losses. 94th is Sony, which has managed to barely break even at a frugal $500 million in profits, still – decidedly better than home rival Panasonic, which recorded a $9.1bn loss. Bout damn time fourtune now sees a TRUE PHONE. GALAXY S IV. 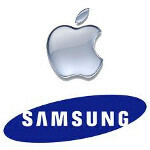 samsung had more revenues than apple frm recorded 2005 until now, nothing to do wif better phone. You do know Samsung sells other products other than phones such as washers, TVs, appliances, etc. right? Smurf, gadget had no idea Samsung sold other products, until you told him. He thinks Samsung only makes galaxy's. Matter of fact he thinks our own Milky Way Galaxy was made by Samsung, 13,000,000,000 years ago. Yes, taking those rankings into account, it's kind of not right having Apple on "the bottom"
so basically u buy the ideas of processor, ram, camera MP, bigger screen, etc and perhaps most users brag about, customization. and u dont buy the ideas of users experiences, feeling, quality, supports, services etc. experiences? for what, all 3 products they put out? and two are just bigger and smaller versions of iPhone? They have ridiculous margins on 3 products. 3! iPhone, great product. iPad, a big iPhone, expensive, good product, did i mention expensive. Never seen a price reduction after 4 releases (in 3 years). Still $5-800? lol iPod, replaced by iPhone and all smartphones except for kids. iOS7 best looking os for teenage girls everywhere! Jobs would never of allowed iOS7! Mac, nice hardware and software, should be expensive, not a consumer product, relegated to snobby appleites and rich people everywhere Great limit yourself to all apple-only experiences. As far as I am concerned once you go apple, you are stuck in their world paying their prices because none of their iCrap works nicely with anything non apple. Does sound like a great experience at top tier pricing and completely limited options!!! The market dictates what is an acceptable price for any product and obviously the market finds the prices for the iPad to be acceptable because they sell quite well. Their margins are not ridiculous because if the consumers felt Apple products were overpriced then they would not buy them. Blame marketing or whatever but all companies want to be in Apple's shoes on this metric and if they could, they would do the exact same thing. As for being stuck with Apple products, that is complete BS. Android is my choice for cell phones and I don't EVER see that changing in the immediate future but the iPad is my choice for tablet and I don't see that changing anytime soon either. The big question is why are you letting yourself get so worked up? You talking about teenage girls but your acting like one, moody and b*t*hy lol! Calm down man. It's just electronics. You shouldn't have to pay as much as Apple is charging to get those qualities. Maybe that's true, but the fact is, right now, you do. I love to work on Macs, no other company has offered such a polished device. I dont mind paying those extra bucks as you say it ,for a good experience. As far as phones are concerned, Note 2 rules! They have every right to defend Apple's profit margin, or lack thereof, they need to validate and reaffirm their own distorted Apple beliefs, as contrived as they may be. Since I hate Apple and love Samsung, I'll throw in my 2 cents-Apple owes about half their revenue to Samsung considering it's well know public knowledge that Samsung made about 22% of the Iphone's internal parts for over 3 years before Samsung started focusing on their own high end galaxy smartphone line so technically, if you bought an Iphone 3, 3GS, 4 or 4S, you were buying a part-Samsung phone! You're welcome Apple! Market Share is more important than profit share, even Steve Jobs believed this. Steve Jobs on Apple's downfall: "They made outlandish profits for about four years. What this cost them was their future. What they should have been doing is making rational profits and going for market share." Steve Jobs never believed that. Apple's business model has never been about dominating in market share. I mean what kind of crack are you smoking? Do you think there's some meeting of the board of directors where they all agree "yeah I'd really rather make less money and have more market share"? Just a random thought: Maybe Samsung would have a higher profit margin if they didn't try and release 439 different phones each year. The R&D cost alone must be staggering. Like Apple or hate them, but their smaller sku of products is what is helping them rake in the profits. The question is, with the heavy rumours regarding a cheaper iPhone, are they going to start branching out more and more into the lower tier of devices all around? Most of Samsung's multitude are slight variants, don't require a ton of R&D as a result. Apple's massive profits are from a few reasons. One thing they do is strong arm the supply chain and demand lowest component pricing as possible. They also overprice a lot of their parts to the consumers, charging them $100 for an extra 16 gig of memory but only paying less than $7 for it themselves. People pay extra prices because they buy into the quality Apple preaches, even though it may not be as great as the marketing portrays. Don't believe so, read the comments in this article.